Recovery Coaching is a non-clinical support service. OVR’s Recovery Empowerment Coaches are formally trained and adhere to ethical standards outlined by national professional trade associations. The Recovery Empowerment Coach supports individuals in identifying a recovery pathway, that is meaningful and unique to the recoveree. Recovery Coaches are knowledgeable about many pathways of recovery and they serve as a bridge for the recoveree. The Recovery Empowerment Coach removes barriers, advocates, mentors, educates, links and refers to care and additional supports when asked. The Recovery Empowerment Coach helps identify recovery capital, listens, offers honest feedback and offers personal recovery experience as an example. One Voice Recovery’s Recovery Coaches are CCAR trained. 5-day intensive training focused on providing individuals with the skills needed to guide, mentor and support anyone who would like to enter into, or sustain long-term recovery from addiction. Participants can earn 30 CEU's. CEU’s are issued through the International Certification & Reciprocity Consortium (IC&RC). People from every recovery pathway (program) have much in common and can benefit from sharing together. Workshops offer a place where people can share their recovery experience, focusing on empowerment, the healing of recovery and how our lives are enriched because of it. If your pathway of recovery is medically assisted, you ARE in recovery and we invite you to join us. These groups are not clinical groups, they are peer support groups which are facilitated by trained One Voice Facilitators. Provider and partner in Utah Syringe Exchange Network (USEN) and Overdose Outreach Provider. ONE VOICE Recovery is a provider and partner with the North American Syringe Exchange Network (NASEN) and the Utah Syringe Exchange Network (USEN) and is a registered Overdose Outreach Provider in Utah. One Voice Recovery operates mobile/outreach, home delivery and fixed site syringe services throughout Utah. OVR's SSP Provides overdose prevention, rescue training & rescue (Naloxone) kits, disease prevention kits, personal sharps containers, referrals, linkage services, food bank, vaccinations, HIV, HCV, STD testing, recovery support, and health education and wound care education and supplies. We Educate and advocate, link to addiction treatment and to other needed support services. Peer Navigation. HIV/HCV/STI Education Presentations. Linkage to care and PrEP Clinic. Harm reduction "prevention" kits. HIV, HVC, STD testing; fixed site, mobile and in-home services. The purpose of OVR’s Emergency Stabilization Housing (ESH) program is to provide our SSP Clients with emergency shelter assistance while we link them to medical care, addiction treatment, long term-housing programs and other necessary ancillary services in order to help them stabilize. Guests in OVR’s ESH program are offered support short term only. The ESH program is not a supportive living, sober living, transitional housing, treatment program or long term permanent housing program. 1.) 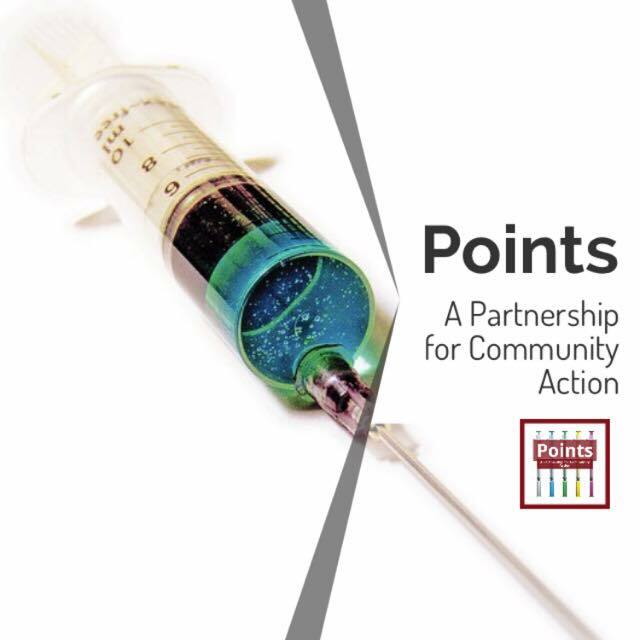 Report areas where there are discarded syringes, needles and other works. Please leave your contact information if you wish to be contacted. Please also leave the address or information about the location you are concerned about. 2.) To obtain information about where to seek post-exposure treatment and testing for communicable disease and recommended follow-up. One Voice Recovery offers Food Bank services for our SSP clients during our drop in hours at our Sugarhouse location. Please see our schedule for hours of operations.